Once upon a time Blockbuster Video was the quintessential success story. A company and a brand that was admired, feared and emulated. With its great name and focused strategy Blockbuster quickly swept the nation via growth and acquisitions to become American’s place to rent movies. This fairly tale doesn’t end well. Today, Blockbuster is in shambles. Bad decisions, bad strategies and bad management have left the giant gasping for air. Where did it all go wrong? Let’s take a look and find out. In the beginning things were great. Great branding and rapid expansion made Blockbuster the world’s largest video rental chain with more than 7,800 stores in more than 20 countries (about 60% of which are in the US). Each year Blockbuster rents more than 1 billion movies and games. Impressive to say the least. 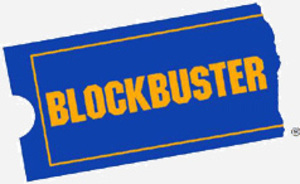 The brains behind Blockbuster was David Cook. In 1985, he created the brand known as Blockbuster by combining a flashy look, a great name and a computerized rental system. Entrepreneur Wayne Huizenga was the money behind Blockbuster. In 1987, Huizenga took over Blockbuster and injected $18 million into the company. He set out to become the first national brand in the emerging video rental category and the category leader in the mind. In just three years, Blockbuster went from 130 stores to 1,500 stores. In addition, Blockbuster went global. With the purchase of Cityvision, Blockbuster became the largest video renter in the UK in 1992. Success can sometimes lead to arrogance. And arrogance in this case meant believing you can sell anything, putting your name on everything and being oblivious to the future. Several bad moves sealed Blockbuster’s fate. Bad move #1: Don’t line-extend into businesses you have no business being in. Feeling quite full of itself Blockbuster launched Blockbuster Music in 1992 by purchasing of the Sound Warehouse and Music Plus chains. First of all, Blockbuster means movies not music. Second of all, Blockbuster means rentals not sales. Third of all, talk about getting into the wrong business at the wrong time. Retail music chains are a thing of the past. iTunes, Amazon and Wal-Mart are putting them all out of business. Bad move #2: Be wary of huge corporations taking over your brand. Viacom takes over Blockbuster and renames the division Blockbuster Entertainment Group. Big companies have a lot of advantages including lots of money and distribution might. But unfortunately they usually have no marketing sense. Viacom looked at Blockbuster as an opportunity to expand the business into other “entertainment” areas. Bad move. Corporate ownership isn’t always bad, but when it undermines your marketing strategy and your brand’s authenticity, it can be deadly. For example, Quaker Oats almost killed Snapple. But PepsiCo has done very well with Gatorade. Bad move #3: Expanding into everything is a killer. Blockbuster greatly expanded the offerings in its stores to make itself a so-called entertainment center. They started selling videotapes (instead of renting them), selling books, CDs, gift items and music. Just when you might have thought all was lost at Blockbuster, the company did make one heroic comeback attempt. In 1997, Blockbuster refocused on movies and returned to its rental roots. In one of the most brilliant business moves ever, they negotiated with the movie studios and forced them into a revenue-sharing agreement that replaced the standard practice of buying rental copies for as much as $120 each. This move allowed Blockbuster to stock all the latest movies in depth. It also lowered their costs, giving Blockbuster a huge competitive advantage. Bad move #4: Giving up the future to be greedy in the present. The DVD takes over and Blockbuster misses the boat. One thing is for certain, the future will be different than the past, especially when it comes to electronics. In music, there was vinyl, then 8-tracks, then tapes, then CDs and now MP3s. In video, there was Betamax, then VHS and now DVD. Tomorrow it will probably be BluRay and in another ten years something else. Nothing lasts forever. Blockbuster had a lock on the VHS rental market. With its revenue-sharing agreement, the movie studios received 40% of rental revenues. The formula was such a big success that everybody was happy. A rental window ensured a period of time where a movie was only available for rent before it was available for purchase. And the purchase price was high enough to promote Blockbuster’s highly profitable rental system. Since rentals represented a $10 billion business for the studios, it was an important market, but today the VHS business is practically $0. Without a new agreement and system for DVDs, the future would be tough for Blockbuster. Too bad they didn’t know back then what they know now. Warner & Sony which had sunk millions into DVDs didn’t want them to be the new laserdisc but the next VHS. So without a deal with Blockbuster, they moved to plan B. They basically knocked out the rental window and priced DVDs low enough so that they could be sold in competition with rentals. With Blockbuster’s outrageous late fee system, paying $20 to buy a movie could be a lot cheaper than renting it and bringing it back a few days late. Today Blockbuster is stuck in the mushy middle between Wal-Mart and Netflix. By 2003, the studios were taking in three times as much money from DVDs as they were from VHS videos. DVD was the new king and Wal-Mart was the new queen beating out Blockbuster to become the new, single, largest source of revenue for the studios. Making things even worse for Blockbuster is the fact that mass retailers of all types began selling newly-released DVDs below wholesale costs to draw in customers with the hope of selling higher profit TVs and other electronics. Add to all this, the arrival of Netflix. Like Amazon, Netflix used the internet to offer access to a wealth of titles (100,000 plus) which it delivers and you return via the old-fashioned postal service. A slow process indeed, but with no late fees, no due dates, no postage fees, endless variety and a personal movie queue, it is a system that is a killer. With its most popular plan, Netflix charges a monthly fee which gets you three DVDs at a time with no monthly limit. Simple, clever and cool. Blockbuster is in the mushy middle. With cheap DVDs selling like hot cakes at Wal-Mart and easy rentals mailing out like crazy at Netflix, Blockbuster has nothing left to sell but its locations. Locations that are costing them an arm and a leg in leases. Blockbuster trying to take over Circuit City is insane. Two losers don’t make a winner. Just look at the mess a combination of Sears and Kmart has created. A merger with Circuit City would result in two brands in two different businesses with two sets of problems to deal with. The last thing Blockbuster needs is more real estate. And the last thing Blockbuster needs is Circuit City, a miserable brand getting clobbered by Best Buy. In this epic movie, I’m afraid there is no happy ending. If only Blockbuster could go back and rewrite history, maybe things would have been different. But life is not like a movie. Once the scene is shot, there are no retakes.